General Ashfaq Parvez Kayani has a reputation for core professionalism, imperturbability and for being a man of few words. He has the unique honour of leading the army in the most unusual and perilous circumstances that have engulfed the nation, following the arrival of the US and Nato forces in our Western neighbourhood. The forces of obscurantism are threatening the internal security of our nation in an unprecedented manner. At this critical juncture of our history, the armed forces stand as the final bulwark against the rapidly worsening internal and external threats. The military’s leadership and rank and file are stretched to the maximum in matching up to the extraordinary challenge; making unprecedented sacrifices. It has already suffered over 5,000 casualties in the war on terror and there will inevitably be more before we ultimately prevail. The fatalities absorbed surpass by at least twice the combined total of the shahadats offered in all previous conflicts with India. Needless to say, the circumstances are challenging and the General has an unimpeachable loyalty to his command to speak out on their behalf. As he took to the rostrum before a gathering of officers in GHQ and made an assessment of the prevailing state of affairs having a bearing on the army’s operational functionality, his words carried much weight, sagacity and wisdom. It reflected an articulate and objective reading of the army’s pulse, sought institutional synthesis within the corridors of power, succinctly indicated to the stress factors injurious to the morale and bonds of trust among the rank and file, and pointed to a relentless institutional slandering campaign, waged by design or default, which sought to blame the entire institution for actions of a few retired senior officers without due consideration to the facts on ground. It was manifest that the General was concerned by the manner in which the army was being targeted by unfounded rumours and propaganda, and attempts were being made to tarnish the image of its leadership. “Equally important is the trust between the leaders and the led in the armed forces. 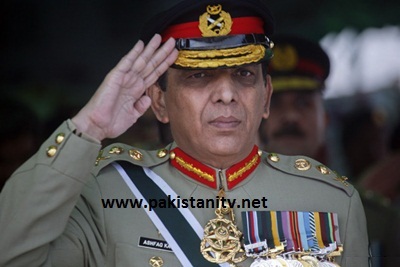 Any effort to create a distinction between the two undermines the very basis of the concept and is not tolerated,” asserted General Kayani.When he said that, obviously, at the back of his mind was the slew of cases involving some retired senior officers, who appeared before the Supreme Court in rapid succession and flagged off an unsavoury anti-army campaign by vested quarters. Against the backdrop of deteriorating law and order situation in Balochistan, the calling to court of military commanders to account for the missing persons in the province, where a foreign-sponsored insurgency is in the process of forming itself into a full-blown phenomenon, might also have rankled the mind of the Army Chief. Despite the speech’s objectivity and balanced tone and tenor, it was amazing to note the manner in which some ‘anchorpersons’ tried to seize upon the communication in all negativity without digesting the contents and manifestly without due deliberation. Obviously, these individuals failed to recognise that the officers, all the way from bottom to the pinnacle, of the command pyramid claim the loyalty and following of their juniors by unflinchingly displaying an unimpeachable standard of personal honour and integrity. Centuries of military traditions have established beyond doubt that only those can lead and claim the trust of their subordinates, who are beyond reproach and above any suspicion of moral turpitude. The way in which certain elements of the print and electronic media highlighted a few incidents of financial mismanagement, involving retired army officers when serving in civil sector to roil the army as an institution and degrade its senior leadership, is only lamentable. The General is obviously, and rightly, anguished over this uncalled for and vested mudslinging. The insidious effects of such a free for all campaign to smear the army top brass are either not understood by those waging it or certain vested quarters are using the unrestrained liberty of media in Pakistan to ‘tear up the pea patch’ in line with their subversive agenda. Over the years, the Pakistani army, indeed, has consolidated its position as a sterling institution earning the trust and confidence of people and turning into a true asset for the nation. It has delivered, time and again whenever called upon to rally and reach out, irrespective of the staggering odds needed to be overcome in order to prevail. In the current context, the challenges have, perhaps, never been greater. Fata has turned into a terror hub, projecting its searing fingers into the hinterland and combined with the responsibility for keeping vigil on the eastern and western borders, particularly the latter where renegade terrorists of Fazlullah’s ilk as well as the trigger-happy US and Isaf troops, have to be kept at bay; the task is truly Herculean! Unflinching loyalty and solidarity, nevertheless, forms the bedrock of the army’s ethos. This unshakable bond of trust results in the existence of values such as discipline, loyalty and respect between officers and men that lend strength to the institution and is a true force multiplier. When a trumped up concerted drive, seeking to soil the integrity of the serving senior commanders of the army, spuriously based upon yet to be proved charges of financial mismanagement against a few retired officers while serving in civilian institutions under unexplained circumstances, becomes rampant, something is gravely wrong. In the army’s ethos, personal integrity and a sterling character provide the moral authority for command and in the flush of asserting authority, all pillars of state should take care not to unnecessarily dent the vital bonds that have sustained it, as a cohesive, reliable and effective institution at service of the nation.